We all like to take pictures with our digital cameras and copy the precious files to our computers for easy access and online posting. Eventually, we’ll end up with thousands of photos on our computer hard drives. So what is the best way to store digital photos? What happens if that computer hard drive fails? Nothing! The family pictures will reside in digital nirvana! The good part? There are data recovery services. The bad part? There are data recovery services, but there is no guarantee of the results, meaning some of your photographs, and a good part of your paycheck, will be gone forever. The only solution is to back up your data. It is relatively easy to do so and ultimately keeps you sane, letting you sleep safely through the night. Optical media like CDs and DVDs are the obvious choices to back up your data, since they are cheap and seem to be safe–but they’re not necessarily safe. The chemical compounds of CDs and DVDs will disintegrate after a few years. I experienced this myself the hard way. Recently, I tried to retrieve family photos from a DVD that was less than five years old and I got nothing but an error message and a few corrupted files. Go figure. Some manufacturers offer “archival quality” optical media for big bucks, but your best bet is to pick up an external USB/firewire hard drive, any brand (Seagate, Samsung, Western Digital) will do. Copy your digital photos to that drive. Immediatedly! Your back-up is accessible right away and your work is pretty safe. To be even safer, make your computer work for you and set up automatic backups. Mac OS X comes with Time Machine and Windows 7 a Backup/Restore center. The worst-case scenario sounds like this, though: your house burns down; home owner’s insurance pays for your loss and you get to sleep in a fancy hotel for a few nights, but your computer is in ashes. The new external, back-up hard drive is a piece of charcoal and the DVDs have turned into a chunk of 21st century junk–every digital photo you ever captured melted into oblivion. Digital nirvana. Your family’s memories just got barbecued. You’ve got zip. Nada–unless you have a print. No wait, that got burned too. To avoid all of this, another copy of your digital photos at a remote location sounds like a great idea, but this scenario may turn into a logistical nightmare… I mean, who wants to get off their sofa on a Sunday afternoon to shuffle disks around town?–online storage service to your rescue! How do you store your digital image files? With digital cameras rapidly replacing film cameras, photographers at all levels must have a system for archiving their image files. Keeping just one copy of each shot on your computer is risky – as many photographers have learned to their cost. Hard disk drives may fail, causing all the data on them to be lost. Image files are also easy to delete, from your camera’s memory card or your computer. The photo industry is actively promoting printing as the ideal way to preserve digital photos. That’s fine for occasional snapshooters – but serious photographers need more options and the ability to handle many more photographs. In this feature we’ll examine the ideal formats for image archiving and look at some of the technologies you can use for preserving your digital photos. The main risk associated with any archiving system is accidental data loss. This can occur in many different ways, so you need some form of ‘insurance’ against it. At the very least, a secure archive will have two backup copies in separate locations in addition to the accessible copy of the images that resides on the photographer’s computer. Backing up image files is easy. You simply copy the files from one location to another. This can involve copying pictures from a memory card to a computer, from a computer to an optical disk, or from a computer or optical disk to an external hard disk drive. An effective image archive should ensure there are several copies of your images in different locations. You will probably want to keep one copy on your computer so you can access the files easily. Another copy could reside on an external hard drive that can be connected to your computer and easily linked to another computer when you upgrade your system or swap from desktop to laptop. Additional copies should be burned on gold DVD media. Once the data is stored on the disk, where it cannot be erased or easily damaged, the disk should be labelled with the date and subject/location of the images. Note: Always use special marker pens for labelling optical disks, not regular markers. Chemicals released from normal markers can degrade optical disks. Photographers with suitably-equipped inkjet printers may prefer to print labels for their archive disks. Specially coated CDs and DVDs are available for only a little more than regular disks. Note: handle all optical disks carefully and avoid touching the recording surfaces as grease and other contaminants are easily transferred from your fingers. One copy of these files on disk can be kept close at hand in an ‘archive’ folder, while another copy should be stored at a different location (for example, a security box in a bank or an office). Files can also be stored online and many companies offer web hosting services. Details of all these systems can be found below. 1. The original image is retained, allowing you to return to it when you have new software or hardware that can improve the output you obtain from it. No data is lost when Raw files are archived. 2. The original image metadata is retained. This information includes details of camera settings and photographers can add information about the date the photo was shot, the location, the subject and other descriptors. Copyright data can also be inserted in the metadata file. Photographers can choose from three main technologies when setting up an image archive: optical discs, magnetic tape or computer hard drives. Higher storage capacities are available in Blu-ray discs, which are becoming available in computer stores, along with Blu-ray drives. Storage capacities of 25GB and 50GB are available and most drives can also read DVDs and CDs. Magnetic tape systems are still available for business back-ups but they’re seldom used these days for image archiving because individual files are slow to access and the tapes themselves become degraded by repeated use. Most photographers prefer hard disk drives (HDDs), which offer capacities from 60GB to two terabytes. External HDDs are the most cost-effective option for storing large quantities of digital data. Prices have fallen in the past 12 months, particularly for high capacities, with 1TB (1000 GB) HDDs selling for around $500. Most connect to a computer via a Hi-Speed USB 2.0 cable, which offers data transfer rates of up to 480 megabits/second. Physical dimensions vary, with models designed to sit on desktops and compact, portable models that can be slipped into a notebook computer case. Larger HDDs require separate power supplies, while smaller models draw power via the USB cable. The beauty of HDDs is that they can work with any computer that has a USB port, so you can easily share them between several PCs. This makes them particularly useful for image and multimedia file storage. You must be able to locate wanted images quickly and easily, so the hallmark of an effective archiving system is image management. Many photographers work with automatic cataloguing software that will create new folders each time images are uploaded to a computer and allow users to tag individual images or groups of files to make them easier to track. Folders created by such systems can also be copied to archives. When storing your digital photos, bear in mind that a failure in any of the storage devices you use could mean your pictures are irretrievably lost. It is also risky to rely on automated file management systems as some have been known to behave counter-intuitively at times. You should, therefore, develop a systematic ‘workflow’ – in other words, a standard system for taking, copying, editing and storing ALL your digital images that locks in as soon as you upload files to your computer. Shoot all images at the highest resolution and quality settings. (If your camera supports Raw file capture, use it.). Upload the image files to your computer, using the Copy process, which leaves the original image files on the memory card. If you’re using an automatic image downloader, it should store each batch of shots in a separate folder, labelled with the date on which the files were saved. This is a logical way to catalogue pictures and works well as long as you can remember when pictures were taken. If you don’t use automatic cataloguing you need a system that will make individual image files easy to locate and retrieve. Adding keywords, dates or times to the file name can be helpful at this stage. Examine your files and delete any images that are unwanted duplicates as well as those you know you will never want again (blurred shots, pictures with serious exposure problems, shots with intervening objects that spoil pictorial composition). Some photographers like to set up sub-files of ‘keeper’ shots at this stage to make it easier to track down their best shots. Make a second copy of all the image files on a CD or DVD or external hard disk drive; somewhere that is not on your computer’s hard drive. Once this has been done, you can erase the files from your memory card, knowing that if a power surge took out your computer’s hard drive, a copy of your original photos would still be available. These four steps ensure you have at least two copies of all your original shots. The most dangerous point in handling digital files is transferring them from one storage location to another. To avoid problems, NEVER delete files from the source location until you have verified them in the destination. Other ways to avoid problems when transferring image files include: make sure the device (camera or card reader) has completed writing before attempting to remove the card or storage media. Avoid wet or dusty places when changing memory cards or writing files to optical disks. Keep spare memory cards in protective plastic containers when they are not in use and store them away from heat, electromagnetic radiation, dust and moisture. In recent years all consumer audio/video recording devices have gone through a radical change from traditional ‘analogue’ media to digital. Photo cameras have moved from film to memory cards, video cameras have moved from video tapes to digital tapes and mini DVDs and then on to hard disks and memory cards, audio cassettes have long disappeared in favour of mp3 players and recorders, and the home VCR has been replaced by DVD-recorders and more recently hard disk recorders. All these devices now have one thing in common: they store the recorded data in files, which are easy to duplicate and manipulate with the help of a PC, which in turn has ensured that most people transfer their pictures or recordings onto their PC and store them on the internal hard disk of their PC. But computer hard disks are fragile and prone to defects and have a relatively short life-span (not to mention accidental deletion of files due to user error or viruses), therefore they are not well suited for long-term archiving of your precious memories. To make sure that none of your precious files ever gets lost you need to have at least two archived copies (in addition to the copy you keep on your PC), that need to be stored on at least two different kinds of physical media in at least two different and distant locations. Currently, good quality optical discs (DVD-R) and good quality Compact Flash (CF) memory cards are the best choice for reliable long term archival of digital documents and files. We recommend the use of external USB hard disks only for large files (video recordings) as using DVD-R or CF cards for video files would be impractical and/or too expensive due to their more limited storage capacity. Compact Flash memory cards are the best type of memory card for long term data storage due to their robust physical casing, physical size (not too small like some other card types), and even more importantly, the fact that they are based on a stable standard. CF cards haven been around since 1994 and are based on the same ATA interface as common hard disks. This has ensured that the standard hasn’t changed over the years (unlike many other card formats that have come and gone and had incompatible changes of specifications) and is a guarantee that there will still be card readers able to read CF cards for many years to come. As quality of flash chips varies a lot and because there are lots of fake branded CF cards available, it is crucial to buy only good quality branded CF cards from reputable dealers (never on online auction web sites, as those are full of fakes!). Specifically, good brands that make good quality CF cards are: SanDisk, Kingston, Transcend and Lexar. Out of these four brands Kingston and Transcend generally offer best value for money without compromising on quality. One error that the free online backups will not help is recovery of a file a split second after you delete that important presentation or cherished photo. Most free services do not save deleted files but write over the old file. The free online backup services will save your files off-site to the cloud. If your hard drive crashes your files are not lost. Your first line of defense should be an external hard drive to back up your hard drive or a jump drive for your documents. An online backup provides 24/7 access to your files from any Internet connected computer, smartphone, or tablet style device. Data storage in the cloud is one of the quickest means to data archiving and recovery. Security: It should be assumed that security is minimal for the free sites. If the files you upload will not be encrypted, there’s nothing to stop someone from looking at your files. This includes law enforcement officials who can serve papers from a judge requesting copies of your files. The services I have checked do not have encryption on the fly. Spideroak has pre-egress or pre-internet security. Your files are encrypted before they are uploaded. File Location: Ideally the files should be able to be located anyplace on your hard drive. Instead many online backup services require a special folder to be created. All your files will have to be stored in that folder. Also, the files will have to be stored on the local drive and copied to the online service. The first way is the service creates a folder and all the files in the folder are backed up. Skydrive does it this way. It creates a Skydrive folder and everything in this folder is backed up. 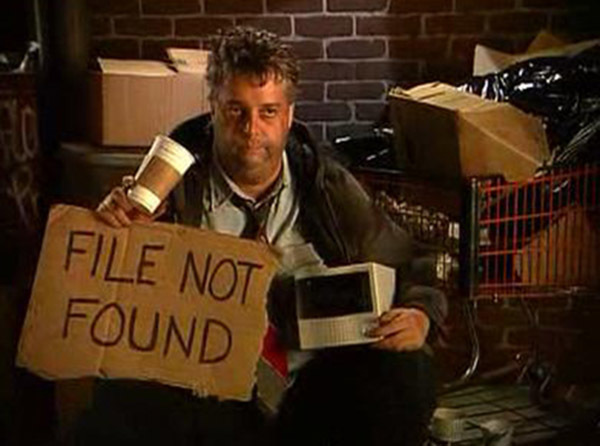 Since this web site is all about free software, etc., I suggest using two online backup services. Use the sites with pre file transfer encryption for yoPravilo br.2ur important documents such as tax returns, then use Skydrive for photos. Skydrive has 7 GB. If you were lucky enough to have had Skydrive before they changed their service, you may have 25 GB of storage. RULE OF ONE – this rule states that there should be one set of untouched (unedited) photos. These are the original photos from your camera, in old school terms, these are your “negatives”. Never overwrite these – if you’re editing, always edit a copy, never the originals. RULE OF TWO – at any given point in time, ensure that no matter what you are doing, there are at least two separate sets of your photos. Initially, when you copy photos you’ve just taken from your camera to your computer, the two sets are the photos on the camera’s memory card and the copied set on your computer. Before you erase the photos on your memory card, ensure that that the Rule of Two is maintained, make a backup of the set on your computer (to another HD, memory stick, offsite storage, a DVD, etc.). So, when you erase your memory card, there are still two separate sets of your digital photos. RULE OF THREE – The Rule of Two is for immediately working with your photos, the Rule of Three states that at some point, you must have a backup of your photos located off-site (away from a catastrophic disaster such as fire or flood – which would wipe out all the backups in your house). So, the Rule of Three adds a third, archival set, stored off-site. That’s it – the information presented below are just some suggested mechanics for how to follow these rules. A CAUTIONARY TALE: While kayaking with a photographer friend, he told me that he had recently lost 50,000 photos (several years worth). He had them all on an external HD attached to his laptop. The laptop got moved, the HD was tugged and tipped over and fell while it was running. This caused a hard, hard drive crash (physical damage to the disks) and the photos could not be recovered. These were his only set of those photos. They are lost forever. If he had been following the Rule of Two (or Three), he would still have these photos today. I use terms backup and archive to mean two different things. Backup is making a duplicate copy to prevent a problem in the event of something like a computer failure. Archive is safe storage and at least one archive copy of your photos should be stored off-site (away from home). In my case, for backup, I use an external hard drive. These drives are inexpensive and a good insurance policy against the failure of your main hard drive. I use software that automatically backs up my data folders, including my digital photos, to the external drives. For archiving, I use small external HDs (these replaced my use of CDs/DVDs a couple of years ago). One of these stays in the house, the second (archival copy) is stored in my bank’s safety deposit box (it could be any off-site location, a friend’s house, a relative’s house, etc.). Every month I swap these (I make a current archival set to the HD in my house and then take it to the bank and swap it with the HD in my safety deposit box). If your house gets flooded out, blown away or burned down, the archive copy of your photos will still be available. If you have a high speed Internet connection, another option available today is on-line storage. This is where you send your files to a commercial data storage business. The issue here is to choose a reliable firm – the risks are the methodologies they use to store your data and the success of the firm itself (I’ve had software that’s been orphaned by a company going out of business). So, I’m not sure if this type of storage should replace the archiving your photos to DVD, but it could replace or enhance your backup procedures. An example of an on-line backup system is mozy.com. Of note, many of these systems are slow with large datasets unless you have an extremely high speed connection (I found Mozy to be very slow with my 3 Mbps connection, unusable for photo storage). The above process involves a lot of manual manipulations. There is software available to help simplify that process. A cautionary note here is that when it comes to archiving information, proprietary software systems are to be avoided. The idea is to store your information using long-term digital standards. The assumption is that if someone gets one of your JPEG images 50 years from now they will be able to easily view it with the software of the day. However, if that same photo only resides in your favourite genealogy program or photo album software, that future person may not be able to view it. So, my philosophy is to maintain all of my original data in long term archival digital data formats – these would include photo formats such as JPEG and TIF. It’s fine to keep copies of your photos in your genealogy and/or photo album software, just make sure you have archival copies in original JPEG or TIF format. When a digital photo is taken or an image is scanned, the parameters set by the camera/scanner are applied to that image. With a camera these include such things as contrast, saturation, sharpness and white balance. The end result may not be 100% ideal. Some photos may require editing. This is usually done with software supplied by the camera manufacturer or a separate photo editing program such as Adobe Photoshop Elements. The process is the same no matter what software you use. Load an image from your “topic” folder into the editor. This ensures that you are working on a copy of the photo, not your original “negative” (which should still be in your chronological folder). Always work on a copy of your photo, never edit the original. If you are planning to do multiple edits, then save the photo in a lossless format such as TIF. In this case I usually add a “-e” extender to the filename to indicate an edited file (i.e. “2010-08-23-5653-e.tif”). I won’t go into the details of digital photo editing (there are whole courses on the subject). Suffice to say that common edits would include cropping and adjusting things such as contrast, brightness, sharpness and the removal of red-eye. In the case of old colour photos that have colour shifted to magenta, it may involve restoring the original colours. A genealogical editing tip is that photo editing should concentrate of the faces of the subjects in the photos. Adjustments to such things as contrast, brightness and sharpness should be focussed on the faces in the photos – to make these as recognizable as possible. When you have achieved perfection, purists may wish to save the final image in lossless TIF format, but for most, a low compression (high quality) JPEG is fine. Use good quality, recognized brand name CDs/DVDs (do not use cheap no-name brands. With CDs, you get what you pay for) Do NOT put paper labels on the CDs/DVDs – label them with a marker specifically designed for CD/DVD labelling. Store the CDs/DVDs in a dark place, within the temperature and humidity ranges specified by the manufacturer. Make 2 copies of the CD/DVD, store one locally and store one offsite (away from your house). These days, I actually use two small (2.5″ – 1 Tb) external HDs as my main archival copy of my photos. One HD is always kept in my safety deposit box and once a month I swap them. Once a year I make a full copy of that year’s photos onto DVD and archive those as well. In addition, I’m keeping two sets of my photos on my computer (internal HD plus an external HD). One can never have too many backups and with today’s low prices for high capacity hard drive storage there is no reason not to have enough room in your computer to keep all your digital photos. Using Memory Sticks for Archiving: – Memory sticks (USB drives, Flash memory drives, etc.) are rapidly coming down in price. I’ve noted them above for use in a backup procedure, but not archiving. They can be used for archiving as long as a few precautions are taken. Similar to CDs/DVDs they have a shelf life and just like CDs/DVDs should be stored in optimum (not too hot, not too cold, not too humid) conditions. There is a big difference in quality, inexpensive can mean cheaply made and prone to failure. Before you trust a memory stick to archive your photos, cycle data (fill the drive with photos and then copy those photos back to your hard drive) through the stick a few times to make sure that the solid state memory is error free. When you make your final archive copy, either look at the drive using an on-the-fly thumbnail generator (i.e. Breezebrowser, XnView, Zoner) and/or copy the photos back to make sure there are no errors. Then store it off-site in good storage conditions. All current storage media (CDs, DVDs, memory keys, HDs) have a shelf life and all can fail for various reasons. In any archival system the data must be refreshed every so often. That means checking the integrity of your archival storage and replacing your archival storage media with new media at regular intervals (every 5 to 10 years). Please note that visible captioning on this and the photo below were done by the author (manually with this one, automatically with Breezebrowser using the IPTC description data in the one at the bottom of the page). IPTC/XMP is digital labelling – the information is stored within the digital photo file. For information about how to do this, see the Visible Captioning Page. Since I started working with digital photos I’ve been looking for a good solution to labelling these photos. Unlike paper prints, there is no “back” to write on with a digital photo. Labelling is a good habit to get into, especially with family photos. I do a lot of genealogy and am constantly frustrated by collections of largely unlabeled photos. Since I’m into genealogy and the concept of long term archiving, I’m dead against using some sort of proprietary labelling software – I want to make sure that what I do will be some sort of accepted standard in a digital future. The archival standard to follow is called IPTC which stands for “International Press Telecommunications Council”. They have developed a standard for information that can be embedded into a digital photo. Adobe has used IPTC as the foundation for their Adobe XMP (Extensible Metadata Platform) open standard. Microsoft has also adopted IPTC as the standard for labelling digital photos. Bottom line is to label your digital photos using the IPTC/XMP open standard. If the program you’re using doesn’t support IPTC/XMP, or uses some sort of proprietary standard, then get rid of it and switch to something that does. 1) Not all programs support IPTC/XMP. Those that don’t support it will often strip out this data when saving a photo that had IPTC/XMP data in it. To test, write some IPTC/XMP data into a photo using an IPTC/XMP compliant program (i.e. Breezebrowser, XnView, Photoshop, Photo Info) then load this photo into your graphics program of choice and save it out as a regular JPEG file (with a new filename). If the IPTC/XMP data is gone when using your photo editor, then scrap it and write the manufacturer telling them to move into the 21st century and support IPTC/XMP metadata. See “Map Your Labelling Fields” below. 2) IPTC/XMP is usually only supported in JPEG and TIF digital photo files. So even with an IPTC/XMP compliant program, it might not support IPTC/XMP in file formats other than JPEG or TIF (and not all yet support TIF format). As with (1), check by saving out a file in various formats and see if the IPTC data is retained. Some programs are starting to add IPTC/XMP into other formats such as camera RAW files and Adobe DNG files. As with many so-called digital “standards”, the implementation of it in software is only as good as the software author(s) knowledge of the subject. Some programs, such as Breezebrowser, follow the current IPTC/XMP standard exactly as specified, others not so much. So, when using a new piece of software, or an on-line service that promises to accept labelling, map your labelling fields. For instance, I’ll take a test photo and using Breezebrowser take the IPTC field “Document Title” and write “This is the Document Title” in the data entry section for that field. I’ll take the “Description” field and write “This is the Description Field” – and so on. Then I load that photo into my new software and/or on-line service and see where those data labels end up. The most common variation I’ve seen is software that uses either the “Description” field or the “Title” field as a photo “Caption”. Another common variation is to call the “Keyword” field the “Tag” field. I’ll outline the general procedure using examples from Breezebrowser, Adobe Photoshop, Windows, XnView, Picasa and Irfanview. The software I use for IPTC/XMP data entry is BreezeBrowser (www.breezesys.com ), one of the early adopters of the IPTC standard. The image below is the IPTC dialog box in BreezeBrowser. Note that in recent versions of Breezebrowser, the naming of the categories has followed the Adobe XMP standard. There are two main ways to get to this dialog. 1) In thumbnail view, select the images you want to add IPTC data to. Then RIGHT mouse click on any selected image and choose “Edit IPTC/XMP Data”. 2) If you want to do a whole folder in one swoop, simply look at any image from that folder in detailed view, RIGHT click on it and choose “Edit IPTC/XMP Data” (note this is the same as doing a “Select All” in thumbnail view. The nice thing now is that you can batch enter IPTC data. For instance you might want your name in the “Copyright” and “Author” fields for all the photos. Enter it and then choose “Apply to All” to write that IPTC/XMP data to all the selected photos. For individual entry (such as Caption data), simply use the “Prev” and “Next” buttons to cycle through the selected photos. You can also save your IPTC/XMP metadata as files for later use. Adobe is using their XMP standard which incorporates IPTC with a few name changes. From the file menu, choose “File Info”. The main IPTC data (as XMP) is in the “Description” section (default tab).While Photoshop itself doesn’t allow batch entry, you can do batch IPTC entry by using Bridge which comes with Photoshop. Run Bridge, select the photos you wish to label and then right click and choose “File Info” (or choose “File Info” under the File menu) and this opens up their XMP data entry (same as Photoshop itself).